Love your dog, but not dog-hair upholstered cushions? Recently we looked at five essentials for a tidy home amidst the fur-storm that is a dog shedding hair. Those essentials looked at how to reduce and remove the bulk of the hair by bathing and grooming, plus an out-of-this-world (ie a robot) cleaner and vacuums that actually pick up pet-hair. There are however some other essentials that help with hard to reach hair, are quick ‘hacks’ and in general keep your home looking beautifully tidy. If you don’t want the fur to fly and don’t want to swap Rover for a Mexican hairless, then here are the Puppy Tales top hacks for a fur-free home. Can’t stand the heat, then get out of the kitchen! One of the simplest ways we’ve found to reduce shedding indoors is to head outdoors. Be it playtime or to burn off excess energy, running around outdoors means less shed hair in the house. Even better, where possible, bathe and groom your dog outdoors. When a shaft of sunlight illuminates the cloud of hair and dander produced during a vigorous grooming session, you’ll realise just how much is stirred up by brushing. 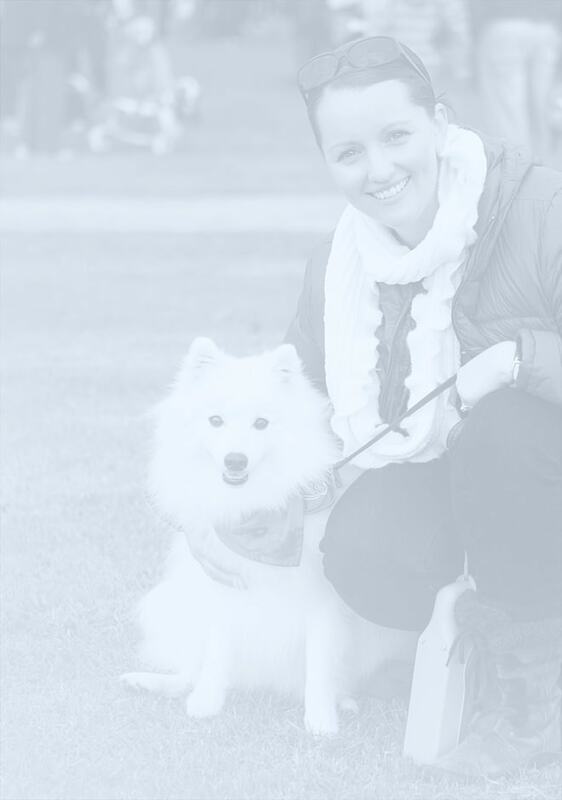 Indeed, try making a quick brush part of your ritual after a walk, a doubly great idea as it helps you check the coat for grass awns, burrs, and ticks that could cause a problem down the line. Have you discovered how some rubber grooming tools are great at dragging the shed hair out of a dog’s coat? This is because the rubber grips onto the fur, and you can use the same principal to keep your home spick and span. If your home is carpeted, walk around a bit in rubber-soled shoes such as tennis shoes. The scuffing action of the soles on the carpet helps dislodge pet hair so that you can pick it up. What better excuse to kick your heels around the house? Alternatively don a pair of rubber washing up gloves, and stroke your hands in one direction over the soft furnishings and cushions. This pulls up the hairs and the stroking motion rolls them into nice little sausages which you can then pick off. Get a grip on the fur with rubber gloves. If you’re one step ahead of the game and ditched carpet in favour of laminate or hardwood flooring, then a rubber squeegee brush is your new best friend. Rake it along the skirting boards and wiggle it into corners to harvest a satisfying crop of tumbleweed hairballs. This works so much better than vacuuming straight out, as the vacuum exhaust sends those hairs wafting all over the place. When your guests stand up, you really don’t want them having hairy backsides from sitting on the sofa. But don’t despair. You don’t have to get the hoover every time friends pop round, just keep some sticky tape handy. 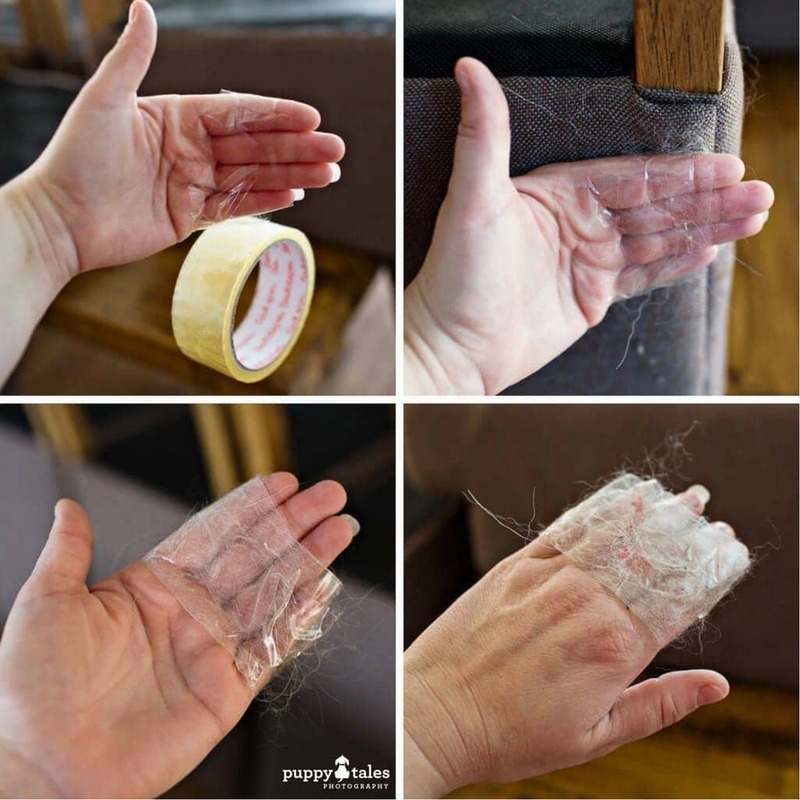 Use sticky tape to remove fur from chairs and clothes. We don’t keep a lint roller in the house – we found that we’d go through nearly a roll and often they lack the ‘sticking power’ with pet hair. Instead we use double sided or packing tape. Simply wrap it around your hand (sticky side out if it’s one sided) and then run that over what we want to clean – furniture, clothes, curtains, etc. We’ve found it does the best job for quickly and easily removing hair from where it’s not supposed to be! You don’t want to be too precious about your sofa or armchairs, after all it is a home not a showcase. To avoid becoming paranoid every time your hairy hounds jumps up for a snuggle, think laterally and cover up the premium upholstery with some attractive rugs or throws. This gives you the best of both worlds because it doesn’t matter if they get furry, but if they do you can shake the throws outside or pop them through the wash. Alternatively, if you dog has a special spot on the floor or a chair, then placing a throw on top and not worrying if it gets hairy, makes it more scent-sational and homely for them. This tip is cheap and kills two birds with one stone. How good is that? Before you vacuum sprinkle baking soda on your carpet or soft-furnishings. Not only does it loosen up the hairs making them more susceptible to suction, but baking soda is a natural deodorant. That sprinkling helps to eliminate any lingering odour of pet for a win-win situation. Firstly, try pre-treating your clothes with a ten-minute tumble in a cool dryer. This softens the fabric which help loosen the hairs. Shake them first, then pop them into the washer on the regular cycle. However, adding half a cup of white of white vinegar to the wash is another great way to loosen off that hair, as does adding fabric softener to the load. After the wash cycle, put the clothes in the dryer along with dryer sheets. The latter decrease the static which holds hairs to fabric, again making them less likely to cling. Decrease static from your dryer by using dryer sheets. Of course it’s easy to get all hi-tech but don’t forget the benefits of good old-fashioned duster. A quick wipe round with a microfiber or an electrostatic duster (such as Swiffer) will cling onto hair rather than spreading it around. And remember to clear your air-con filters regularly, because they trap dust and hair. If you let the filters become clogged, when you switch on the air-con or heaters, you’ll circulate dust and dander in the air, and make your dog’s job of spreading their hair far and wide so much easier. So what have we missed? What cleaning tips work for you that stop you tearing your hair out? We’d love to hear them and you’d be doing pet parents the world over a huge favour.